Lunne, T., Robertson P.K. and Powell J.J.M. 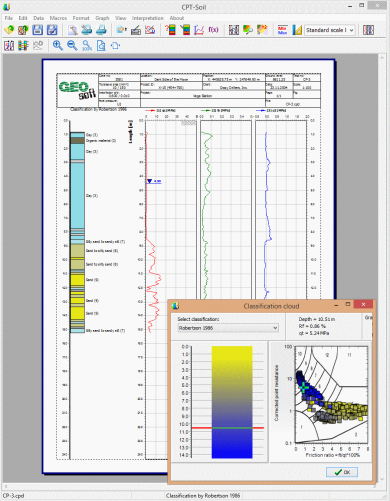 Cone Penetration Testing in Geotechnical Practice. Published by Blackie Academic & Professional. 1997.
or directly from the authors tlu@ngi.no. 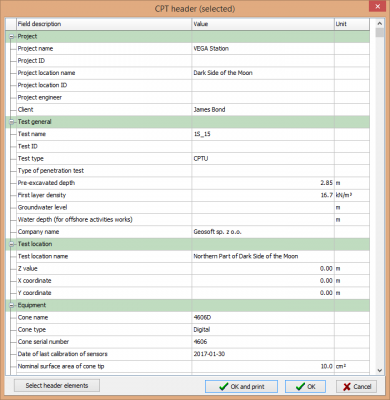 CPT-pro can be applied for different formats of CPT data. You do not need to use any converters to open your files. 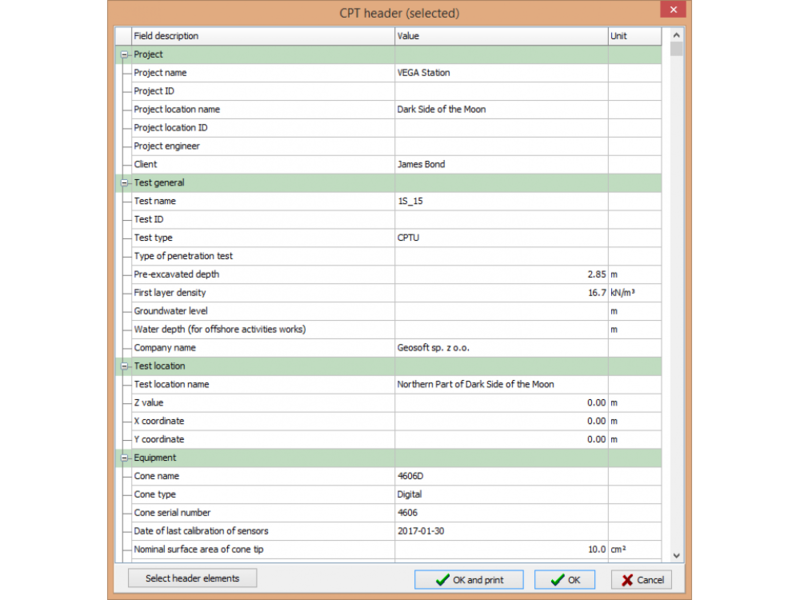 Additionally, Import/Export procedures of CSV, GEF and AGS formats make CPT-pro totally universal. In spite of number of implemented correlations, an add-on Formula Editor allows user to define own interpretation functions, so the number of correlations you can use is simply unlimited. Included Batch Processing and Batch Printing procedures make data reduction and interpretation extremely efficient and time saving. 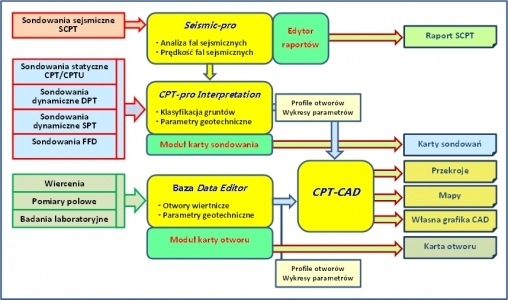 Using the graphic tools of CPT-pro, particularly CAD type ones implemented in CPT-CAD module, you may generate high quality and complete geotechnical and geological documentation. The built-in export procedures enable saving the drawings (maps and sections) created by the program in the form of DWG and DXF files, that enable further proceeding - if necessary - in other graphic programs, like AutoCAD, MICROSTATION etc. New graphic ccomponent allows to generate high quality printouts. layout of log i.e. 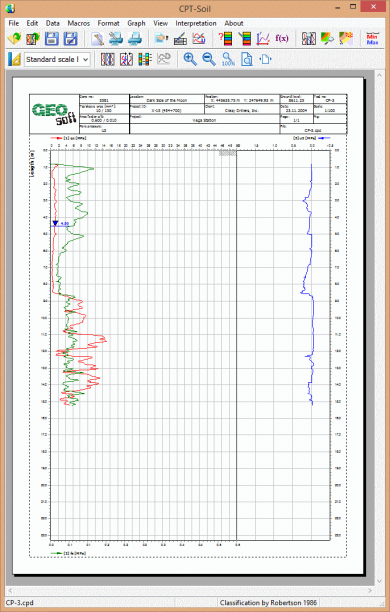 number and location of graphs, location of header table, line characteristics etc. are fully controlled and customizable by operator. 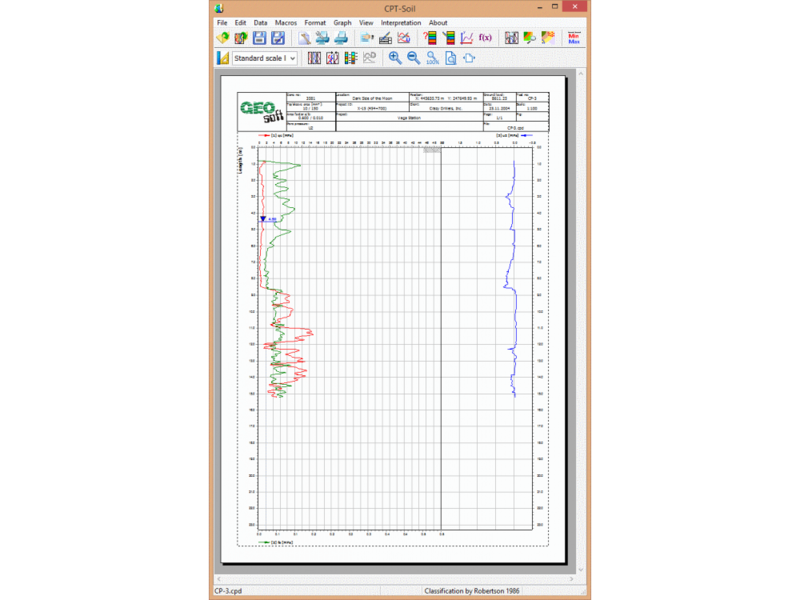 Additional functions like tracking of parameter values and tracking classification result (individual and cloud) allows detailed analysis. 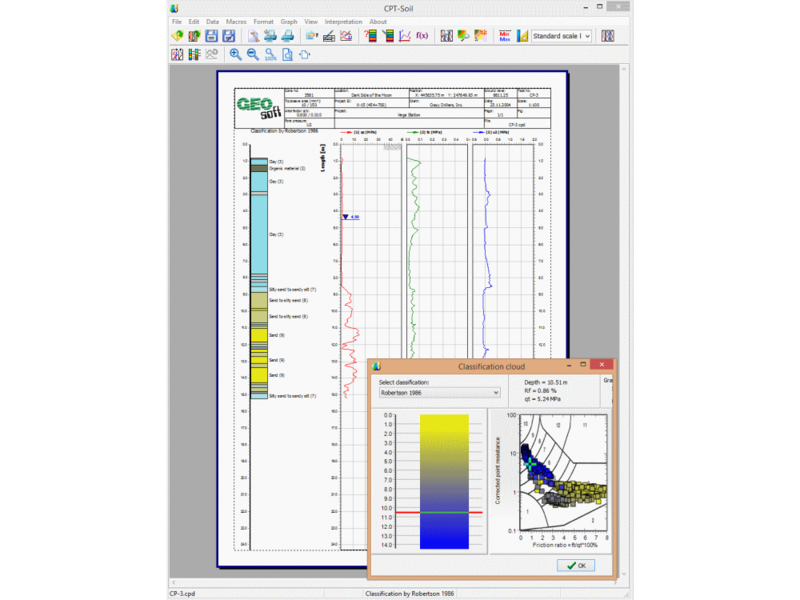 Formula Editor implemented in CPT-pro allows generate own complex conditional interpretation formulas, in which equations may vary depending on classification result, depth and values of selected parameter. All mathematical functions used in engineering practice are available. Extended header is fully compatible to GEF 1.1.3 and AGS 4.0. All fields included in these formats are included in Extended Header. User may select fields for printout in additional report. Beijing Brilliant Sun Technology CO., Ltd.